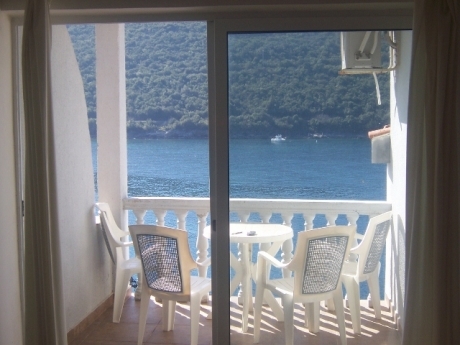 A seafront apartment for sale in Montenegro (Bigova). This large one-bedroom apartment on the second floor, covers 47m2. The balcony is very private and has a great sea-view. The property is in a move-in condition. It is situated in a small apartment block in the centre of Bigova (Kotor municipality). The block is only across the road from the seafront, offering an easy access to the beach and a lovely view of Bigova Bay. Bigova is a popular tourist resort so there is good rental potential. The apartment is on sale for €95000.